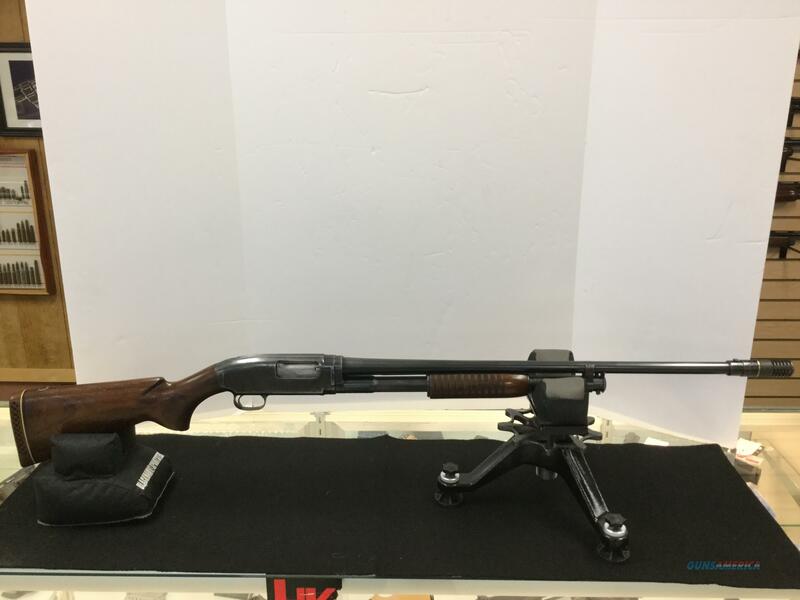 Description: Up for your consideration is a great condition Pre-64 Winchester Model 12 chambered in 20ga. This Winchester Model 12 was manufactured in 1954 and is in great shape given its age. The blue is rust free and is only thinning in a few places including the bottom of the receiver, the barrel in one or two small areas, and the bolt itself. The bore is excellent on this shotgun with a bright and smooth bore all the way down. The original buttplate has been replaced at some point with a Pachmyer pad, and the original choke has been replaced with an adjustable Poly Choke. specializing in difficult to find firearms and ammo.